Today I “graduated” from my medical weight loss program – down 70 pounds in 17 weeks. All my “stats” got better – losing 10 inches on my waist, blood pressure much lower (dropped meds), and similar drops across the board. Since this success was largely because of the encouragement and stories of other people (special thanks to my wife and Ron Hughey) that has gotten me this far, I wanted to share a little about the why/what/where of the process, what I liked and didn’t like about the program, and where we go from here – which gets a little wordy so I’ll add headings so you can skim if interested. The factors in this weight-loss program are pretty straightforward: more/smaller meals, calories, protein, water, activity/exercise, sleep, and support. 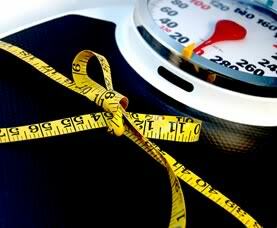 Some medical weight loss programs include medication or even surgery – this was not the case with this program. You go to the office weekly and weigh in and attend a session for support and information. Every-other-week you see the doctor and get blood tests (which became important for me – see below). The sessions rotate between a dietitian, exercise physiologist, and a behaviorist. The idea was to eat six times a day – small meals (150-250 calories) – and try to hit a calorie goal (1050 for me) each day (no more, no less). The theory is that there is a minimum number of calories that you need every day (had never heard this) for your body to operate and not think it is starving. It was interesting to talk to another person in the program who had hit a “plateau” and hadn’t been able to lose weight in 2-3 weeks, then they added 200 calories to her daily plan and she had two very good weeks of weight loss in a row – on more calories. I still need to figure out more about how that works. Then there is the amount of calories that people burn each day just “being alive”. For me that was calculated at about 3250 calories per day. There is a little scale with electrodes on it that somehow sends electricity through your body and figures out these numbers as well as fat, muscle, water percentages – again, not sure how it works, but glad it does. So the “magic number” is 3,000-3,500 calories which, in theory, equates to one pound (i.e. if you eat a deficit of 3,500 calories you’ll lose a pound, if you eat 3,500 extra calories you’ll gain a pound). I’d heard of the Atkins-style diets where you basically cut out all carbs and super-load on protein, so when this diet started stressing protein heavily I was concerned, but this went away fairly quickly after some discussions with the doctor and dietitian. The theory with the protein (in every meal) is that there are several factors that make your body think it is hungry. These include having something in your stomach (i.e. eating 6 times a day instead of 3) and having your body digesting/processing food – this later process is where the protein comes in. It takes more time and energy to process protein, which keeps your body busy / burning calories / feeling full. And all I can say from experience is that it really does work at keeping you feel full even on a ridiculously low calorie diet. I can eat carbs, fruit, vegetables, etc. and feel hungry very quickly. But add some nuts, yogurt, protein bar, lean meat, etc. and you can go for several hours without really feeling hungry. On this program you use the “diet food” you order and pick up each week at the office. This food is engineered to provide the reduced calories but also provide the protein for the meals and snacks. The food isn’t great – but it also isn’t terrible. There are a variety of food and flavors ranging from powdered drinks and protein bars to full lean cuisine size/style microwave meals. The routine and the pre-packaging was really what saved me during the first 4-5 weeks. The first two weeks were brutal with basically bread/carb withdrawal and getting used to more/smaller meals and the reduced calories. I had headaches, cravings, and generally felt nasty. After four or five weeks things did get better, and after five weeks I had to change my diet from the regular one (more on that below). Drink a lot of water (64oz min per day). Always have a drink of water ready, and even drink sometimes when you aren’t feeling thirsty. I had several 24oz bottles of water that I consciously kept full and tried to drink from on a regular basis. All that you are burning off and your body is using up needs to be filtered and flushed out of you somehow – the water helps. Have some kind of regular activity. At the beginning of the diet, exercise was something that was much more of a pain to try to do. I did the minimum, and pretty grudgingly. As you lose weight you gain energy and it takes less energy just to move around. I remember camping in the fall at a site where we have to hike back our equipment before we set up camp – and it is 1/3 to 1/2 a mile. In the fall it was tiring just getting back there. In the spring (50 pounds lighter) it was almost enjoyable getting back there fully loaded with stuff (and still lighter than in the fall with nothing). Activity comes with losing weight, but you need activity to lose weight. So even if you start doing the minimum it will result in actually wanting to do more in time. I knew something about myself – that if you could just give me a set of steps: 1,2,3 – a,b,c I could follow them exactly. If you give me a 100 calorie pack of nuts, I will eat the pack and not open another one. If you give me a bag of nuts and say eat 100 calories and then stop, I could end up eating the whole bag. I handle this now by taking the bag and separating it into 10 baggies of 100 calories each, and then it works. But having the routine, logging everything I eat, drink and do for activity, works well for me. This program had routine and weekly accountability and support. Over the last few years we have been trying to eat more and more local fresh fruits, veggies, and lean meat from local farmers and vendors. This program seemed to be going back a few steps in this area by eating a bunch of highly engineered and processed food. I had to let this slide for a while at the start to get into a routine that was working for me. Every two weeks we get blood drawn and labs done to review with the doctor. In week five I got a call a few days later from the office telling me that my kidney/renal numbers had jumped basically from a “1” which was normal to a “5” which they had never really seen before (that high). So I needed to go get that lab done again somewhere that could verify the number, and if verified I needed to be admitted for some tests and to get the levels back down. To make a long story short, the lab read a “4” when I got there and I got to spend the night in the hospital as they did a scan of my kidney and heart – thank God both were fine. Basically it was concluded the my body was burning a lot of fat and lean tissue in the beginning of the diet (big guys can lose 7-9 pounds in the first weeks pretty easily), I was eating a much larger proportion of protein that I was used to (and a lot of it in liquid form), I was taking medication for high blood pressure (which I am off now – hopefully for good) which was a “water pill” which reduces kidney function, and I had been taking ibuprofen because of the regular headaches. In short, my kidneys were overloaded. So I went on a “renal modified diet” which included a lot more fresh veggies, fruit and different protein along with some of the product (2 of 6 meals a day). I got off the medication and stopped taking ibuprofen (and haven’t had either since – and blood pressure is even lower without it now). My numbers were back to normal in under a week and I kept up that diet for the rest of the program. So I did end up solving the packaged food issue (but not the way I wanted to) and the kidney issue and stayed going with the program. This is an important thing to share because it would be pretty easy to go on this type of program without a doctor’s supervision. But rapid weight loss does have impacts on your body – some different than others. I talked with some people who had liver issues and one that had problems with gallstones. I’m not a doctor but I can testify that if you are doing a rapid weight loss you might want to tell your doctor and get a few tests along the way. I am nervous being out of the program now. I met three people in the program who had been in it before and were back to “try again”. They warn you getting into the program that the “average person gains half the weight back” but also that “some people keep off the weight and lose more” …. which I heard as saying that “some people gain all the weight back and more” (the law of averages being what they are). Graduates of the program are encouraged to attend the support classes, weight in, and get the information and support of the community. I am considering this. I want to be in regular contact with others working through this and to be accountable to having a plan and sticking to it. My goal is to reach 100 pounds down for the year by the end of 2011 – about 30 more pounds which would be on track with the pace I have had going. This will mean more exercise now as you burn less calories each day when you get lighter (just being alive) – which is a good thing, but you need to increase activity to make up for it. I have some plans for that, but it will be another change. That is an awesome achievement Bruce, and I am right alongside you in losing weight and being healthier! I would also recommend Sparkpeople.com as a GREAT place to log and track calories and exercise, find a support network and reliable health and fitness information. It is free too! There is a whole section on the site for people in maintenance mode that I hope to join within a year or so. Again, great job with your weight loss! Being healthy almost seems like quitting an addiction – sometimes it does take a few tries to find the right fit! I am so impressed! Fantastic job – you are an inspiration! Thanks for sharing this! If you need any cheerleaders to keep you motivated sign me up for the team!